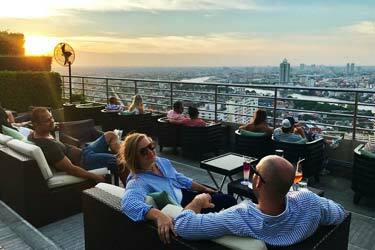 A complete guide to the 4 best rooftop bars in Prague in 2019. 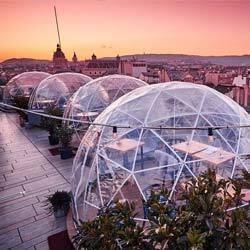 So, which is the best rooftop bar in Prague? 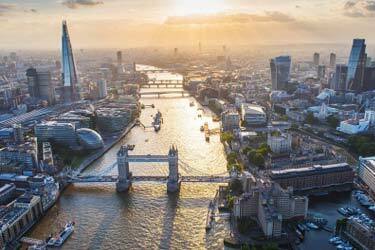 Find all the info you need about each terrace here. Opening hours, dress code, pictures, maps and much more. Prague have some beautiful view spots over the city. Most of them from the rooftop restaurants located in the city center. 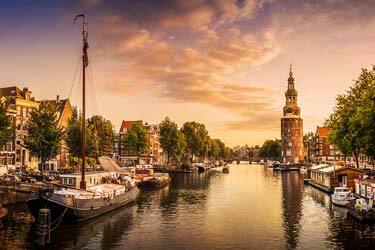 Eat fantastic food while gasping out over this historical and classic city. The prices here are very good as well. So, you won’t be ruined. 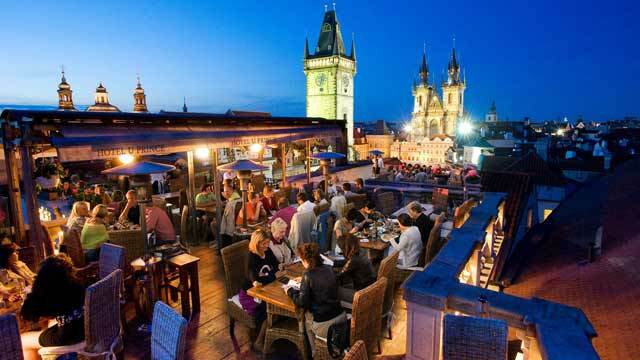 Just scroll down and find the Prague rooftop bar best suited for you. Or use the Prague rooftop map in the bottom right corner. 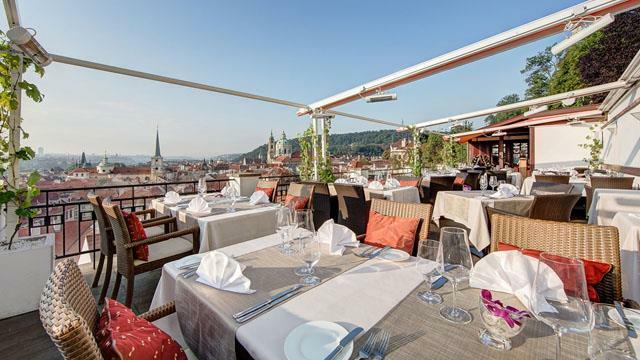 Located on top of the hotel Golden Well, right by the famous Prague Castle, Terasa U Zlaté studně is a fine dining restaurant and rooftop bar that offers a stunning panoramic view of the whole of Prague. Perfect roof terrace for a romantic dinner or just a drink with friends in the sun. Open daily from lunch to midnight, here you can enjoy delicious international cuisine, an impressive wine list and the finest in cognac and champagne. A great spot for both the connoisseurs and the taste buds. 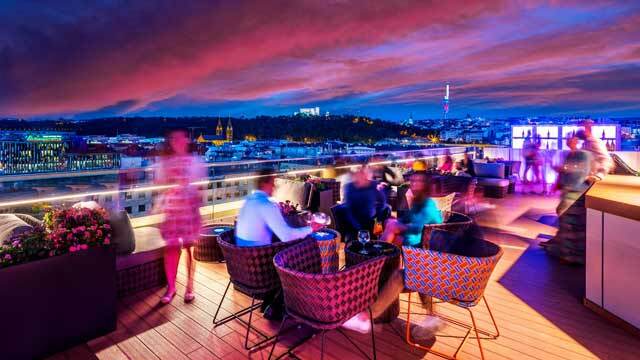 A chic and urban rooftop bar, perched on top of the Hilton Prague Hotel. Both the inside bar with panoramic windows and the two outdoor terraces offers an awesome view beyond the Vltava River and the Prague skyline. 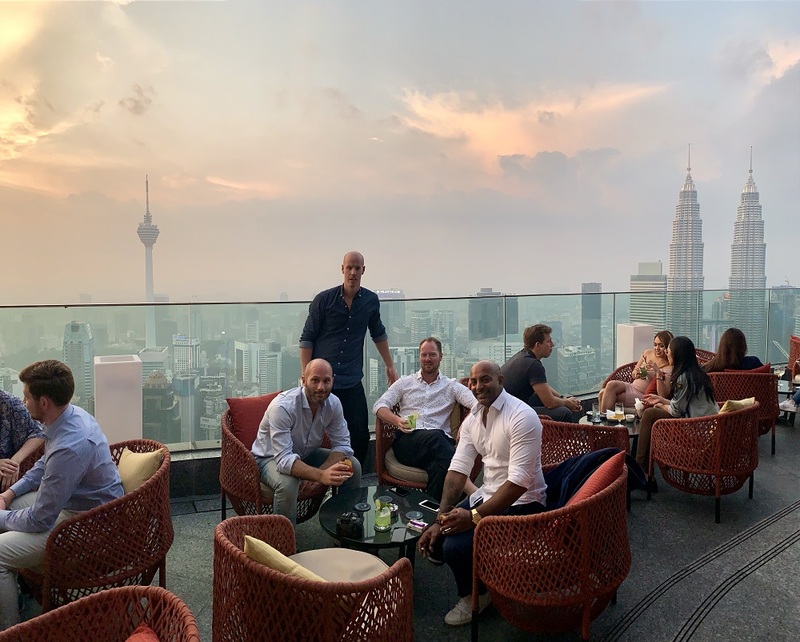 Famous for its wide selection of quality cocktails, the rooftop bar serves hand crafted and awarded creations, based on premium spirits and fresh fruits. Live music every Thursday and live DJs Friday-Saturday makes this one of Pragues trendiests and most exclusive weekend night-spots. A fine-dining venue equipped with a roof terrace that offers an absolutely amazing 360-degree view over Prague. Perched on top of Aria Hotel Prague, in the heart of Lesser Town, up here you'll find yourself amidst historic buildings like Prague Castle, Petrin Tower and St. Nicholas Cathedral. Classic, stylish and upscale, the restaurant serves fantastic international and local cuisine, complemented with an impressive wine list. Romantic setting, highlighetd by nightly live piano performances. Regarding location, it doesn't get much better than Terasa U Prince. 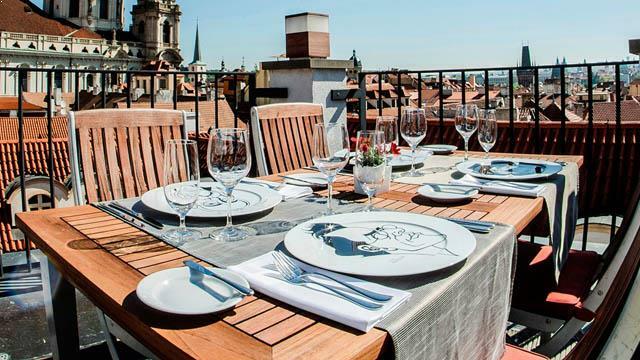 Perched on top of the Hotel U Prince, this rooftop bar and restaurant is right on Old Town Square, neighbour with the Old Town Hall and its Astronomical Clock. 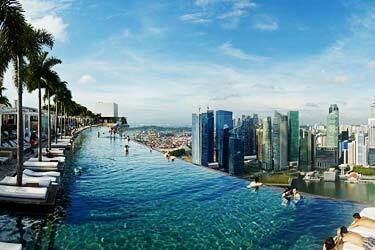 From the rooftop you get a beautiful 360-degree view of the whole city. Open and airy in summer, the terrace is available year round thanks to a partial roof and heaters. Enjoy a wide range of coktails, a fine selection of wines and gourmet food. Discover the biggest collection of Prague activities, guided tours and skip-the-line tickets. Anything you want you'll find right here. Which are the best rooftops in Prague? This complete guide will help you find the best rooftop bars in Prague. As for the rooftop bars in Prague there are many nice ones available. The terrace bars here are often mighty, romantic and with fantastic views of Prague and it's surroundings. Because of the climate the terraces can’t stay open during the winter. 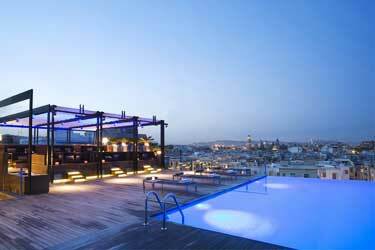 Most rooftop bars in Prague are located at hotels or at a restaurants roof terrace. And here's a list of the best hotels in Prague with a view. Prague is the Czech Republic's largest city and also the country's capital. 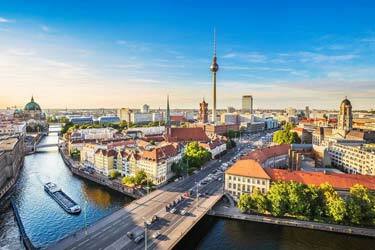 The city is known for its beautiful and stylish buildings which comes in all forms and shapes. There are also lots of towers and spires that shines in the sky. There are supposed to be over 500. 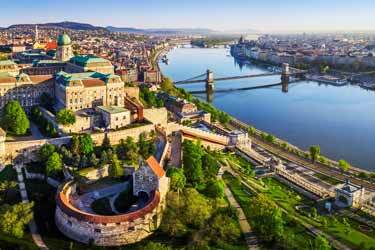 Prague is an important tourist city with historical buildings, fine restaurants, and famous museums that attract people all year round. For those who like culture, you can visit several theaters, music clubs, concert halls and galleries here. Czech cuisine is classic central European with heavy food like schnitzel, dumplings, pork and duck.